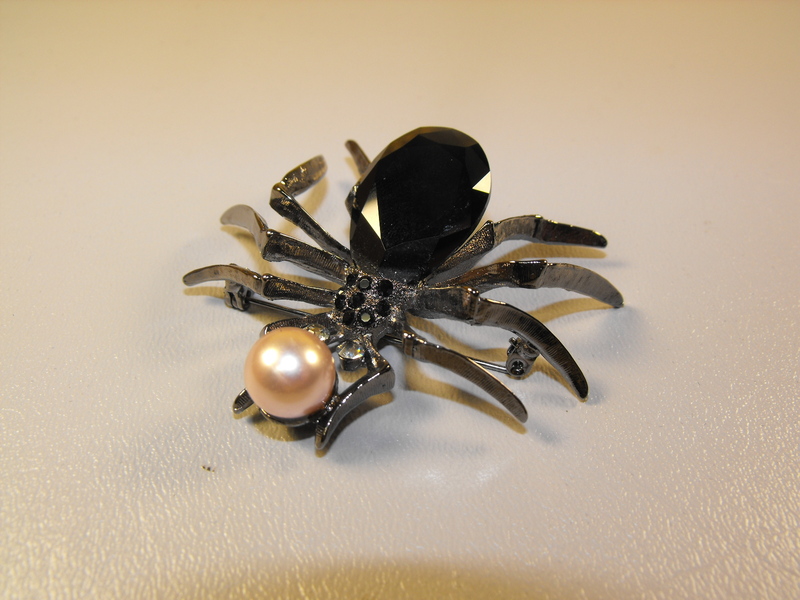 Along came a spider….pin that is with a faux pearl and black faceted crystal. Even Miss Muffet would be impressed. 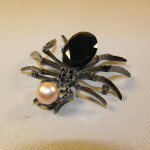 The pin is about 2 1/2″ in length and about 2 1/2″ wide. 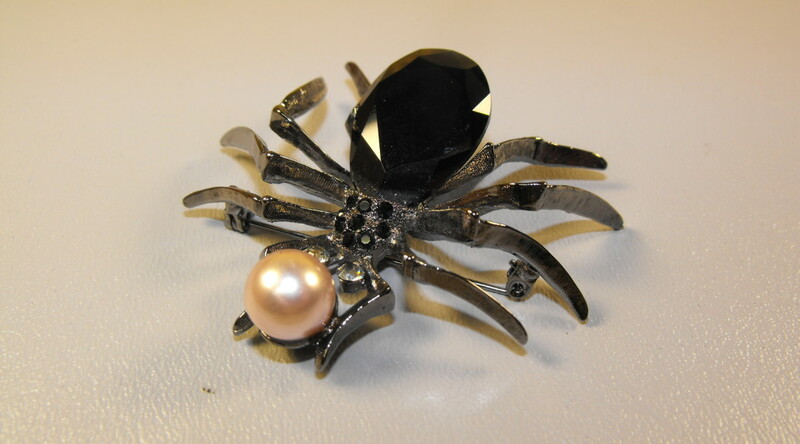 Don’t go “trick or treating” without it….and make a statement by wearing it on your shoulder!